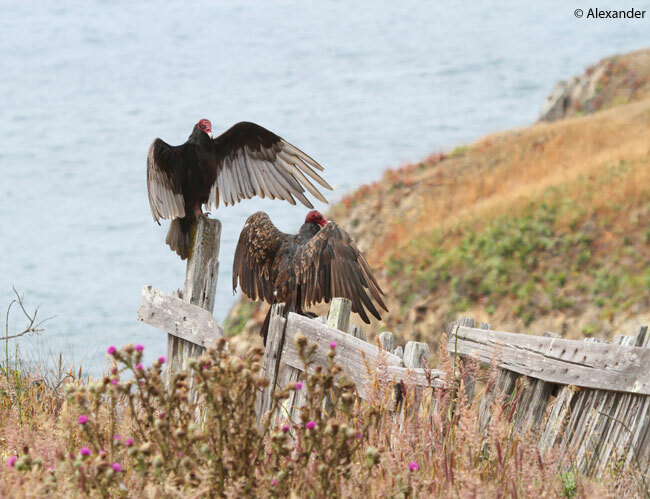 The most abundant vulture in the Americas, the Turkey Vulture is often misunderstood and even feared. But this bird is a friend of the earth, cleaning up carrion and ridding the ground of bacteria and decay. Often seen soaring in open landscapes, Cathartes aura have a large wing span of 63-72 inches (160-183 cm). A gregarious species, the flocks (aka kettles) use air thermals to gain height, perspective, in their hunt for carrion. 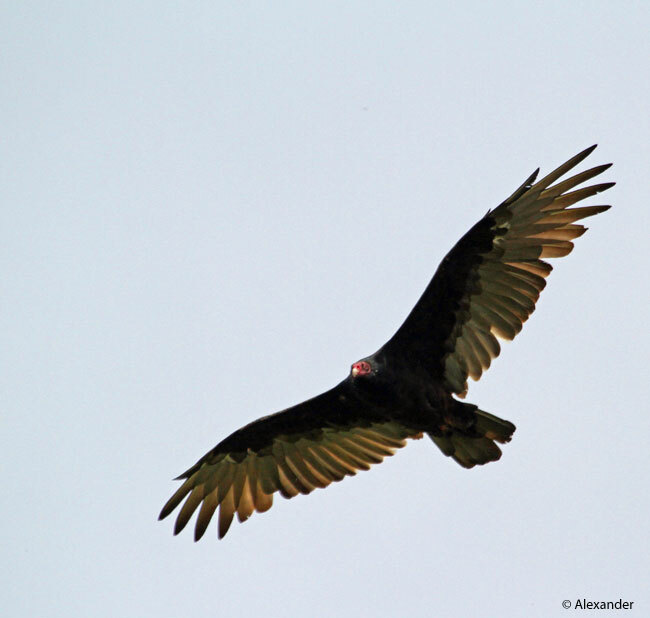 As scavengers, they feed almost exclusively on carrion. When not soaring, they fly closer to the ground, using their keen olfactory sense to detect the smell of gas (ethyl mercaptan) produced by a dead, decaying animal.